The relatives of Kim Il Sung’s first wife Kim Jong Suk are living in a small village some distance away from Chongjin in North Hamgyong Province, report sources in North Korea. According to the Korea Institute for National Unification’s 2017 report “Welfare and Marketization in North Korea,” all personnel ranked cabinet deputy minister or higher receive a single-story or two-story luxury house with a yard, while also receiving 700 grams of food, three kinds of grains, meat, vegetables, cigarettes and beer each week. The North Korean authorities refer to Kim Jong Suk (who is Kim Jong Il’s mother) as “the Great Mother of Chosun (North Korea)”. The North Korean media also contends that Kim Jong Suk’s greatest achievement was the birth of Kim Jong Il. The regime’s propaganda machine has sought to idolize the entire Kim family since 1997, calling Kim Il Sung, Kim Jong Il and Kim Jong Suk the “Three Great Generals of Mount Paektu.” However, according to the “2017 Mt. Paektu Declaration,” Kim Jong Un has been promoted to “Third General,” replacing his grandmother. “There are many local residents who don’t even know that the relatives live here. Most Chongjin residents are only aware that provincial Party officials are living in the area,” he explained. 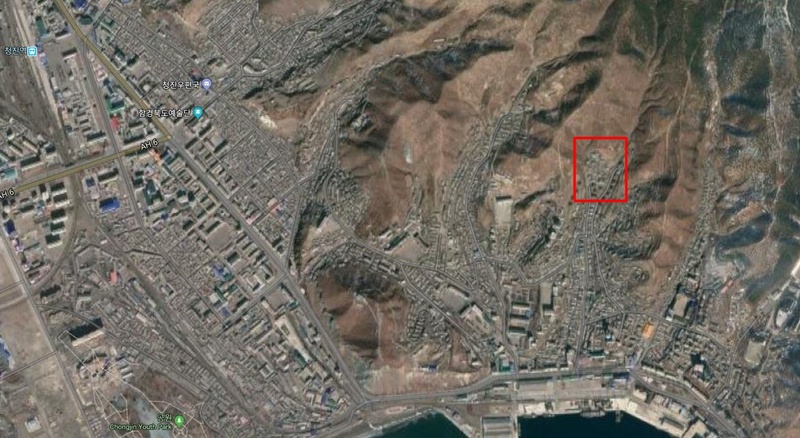 According to the Korean Institute for National Unification’s 2016 report ‘North Korea’s National Market Information: Focused on the Current Status of Official Markets’, there are no major markets near Sinjin-dong, but it is nonetheless a residential area preferred by the wealthy and powerful. The report states that Party officials and donju prefer the area specifically because there are no busy markets. There are still questions remaining, however, about why Kim Jong Suk’s relatives are not living in Hoeryong, Kim Jong Suk’s hometown. Hoeryong is relatively more modernized in comparison to other areas and the North Korean authorities have long made efforts to develop the city into a pilgrimage site. “Six degrees of kinship live in North Korea, from what I’ve heard,” said Seo Jae Pyong, secretary general of the North Korean Defectors Association.